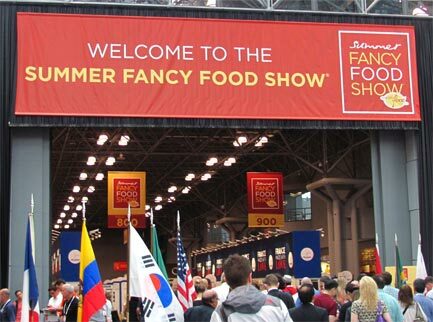 [by Nick] Last week I had the opportunity to attend the Summer Fancy Food Show in NYC with my girlfriend. Not sure what that is, well it's basically a 3 day event where companies from all over, not just the US but the world showcase their products for potential buyers and press alike. Want to know more about the show? Click here! I was only able to attend the first day but that was more than enough time for me. 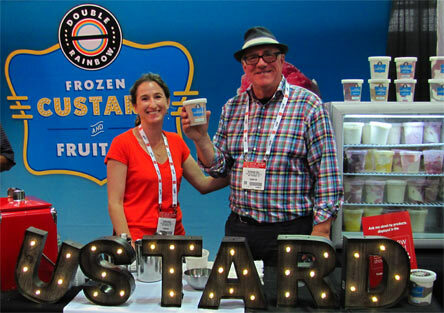 My mission was to meet with every frozen dessert company there and minus a few I overlooked, I succeeded. I mean, the other booths were cool too but there is only so much meat and cheese samples someone can eat before it all starts blending in. I'm going to take you in the order I found companies so sit back, relax and enjoy my experience. The day first started out getting our press badges where we ran into Eric or better known as our bud Junk Food Guy. It was nice meeting a fellow writer and his team. They gave us some advice and we went our separate ways. 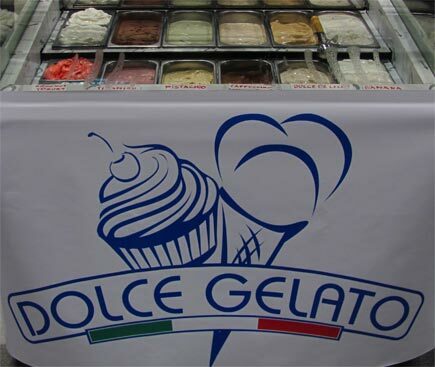 First up was Dolce Gelato. I feel like I heard about this company before the show but I'm not too sure. The woman scooping was having quite a hard time and only spoke italian making things a little complicated. After everything was situated, we sample their tiramisu and hazelnut flavors. The tiramisu was very cocoa-y with slight hints of marscapone and coffee. It was a good coffee flavor to start out the day. The hazelnut tasted just like it's name. The nut was at the forfront of the flavor and was one of the strongest, intense hazelnuts I've tried. 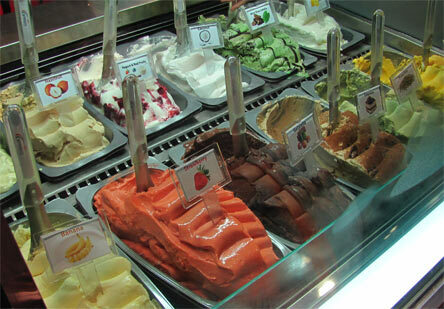 This is definitely some quality gelato, I'm just not too sure where it's available. Not too far from Dolce was Coolhaus. 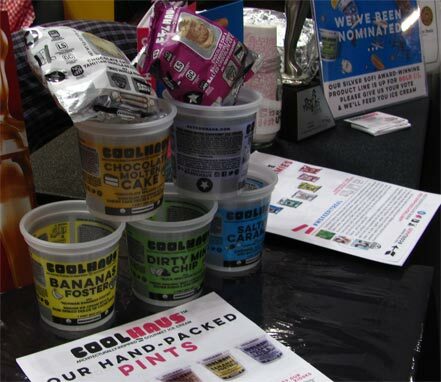 Coolhaus was up for a Sofi for their product line and they were sampling their retail line at the show. This includes their pints and sandwiches that I've covered for the site before. A flavor they had that I haven't been able to find was their Chocolate Molten Cake ice cream. We sampled that and oh man was it rich. It's very chocolate-y but not so like other bases because this one manages to not overpower the small chunks of cake mixed in. I need a pint of this to review, stat! I almost walked right past Sander's if it wasn't for my girlfriend noticing they had ice cream to sample. 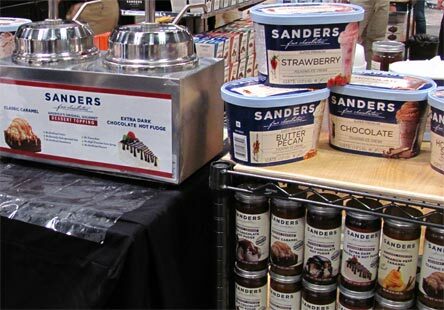 I know Sander's for their dessert toppings but they started making their own ice cream for retail distribution at the beginning of this year. Our sample of Bumpy Cake was still hard from the dry ice but tasted delicious. Fresh cake chunks and a nice frosting like flavor going on. Expect to see these guys on the site in the future for sure! Like Dolce, Gelatech Italia was another Italian run stand. It was randomly in the corner of the show and one of the workers kept staring at us uncomfortably so we grabbed a sample of their mint stracciatella and made out way elsewhere. Minus the awkwardness, this was one of the best mint flavors I've had it awhile. It was fresh mint but not overly pungent and assertive like others I've had. The chocolate chips throughout were a nice balance to the base. Once again, I have no idea where anyone outside the show could try this but I'm guessing they're more of a food service company and restaurants use their products. That last booth cleared the first floor we started on. There's three floors to the show so we made our way to another one... or I got lost and my girlfriend navigated us to the next floor. She was a lifesaver to say the least. This next floor started with Agave Dream. They obviously use agave syrup to sweeten their desserts. 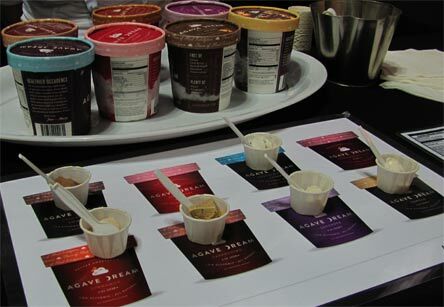 We sampled a few flavors and I couldn't really tell the difference between it and normally sweetened ice cream. It's definitely something to look into if sugars are of concern to you. Here's a brand I knew nothing about until the show. 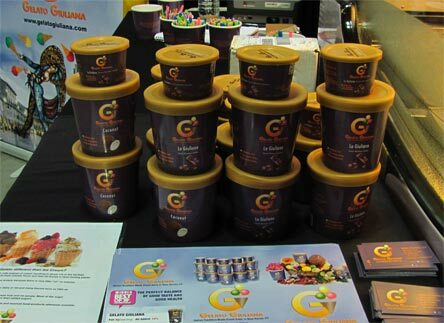 Gelato Giuliana. They're available more in the New England area if I remember correctly. They might also have had my favorite bite of the show. Their key lime pie gelato is something to die for. So fresh, citrusy, slightly tart and filled with chunks of graham crackers. This is a brand I need to get in touch with soon to get some samples to officially review for you all! Tipsy Scoop is a brand that's quite well know though the social media world. They've liked a bunch of my photos on instagram and it was nice meeting them. Problem is, I don't drink and their products have 5% alcohol by volume. Don't worry though, I'm sending their samples Dubba's way so I'll be getting him drunk off ice cream soon enough! This booth was interesting. 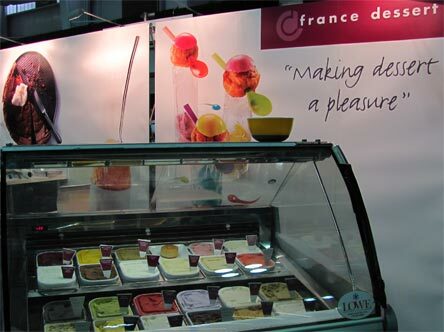 Not sure where you can get France Dessert (don't say France). The guy wouldn't allow me to take a photo until I tried a flavor. Trying to pick a flavor was even more interesting. He asked me my likes and what I was feeling and ended up giving me the complete opposite. 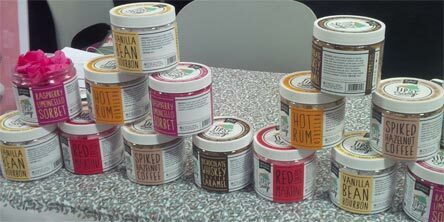 ‎That said, it was fun and their sea salt caramel is worthy of a try if you're able to find it. Next up was one of the booths I was most interested in seeing, Three Twins. I spotted Neal a few rows over before making it to the booth and basically stalked him and even got a selfie with him. That said, they were sampling their new Ben & Jerry's knock off flavors. I even called him out on it, which he jokingly denied. All that said, their cherry flavor is better than cherry garcia but the banana was too ripe for me so I believe chunky monkey remains superior. Still, this booth was a bunch of characters like I had expected them to be and I enjoyed my time talking with them all. 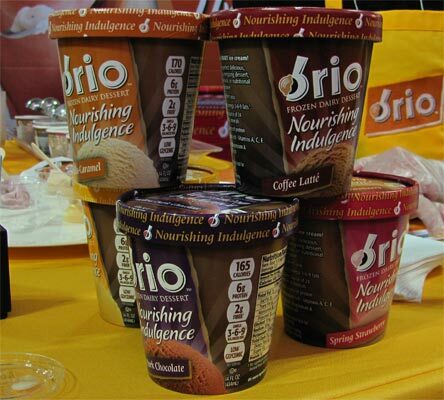 Brio is a brand that was on my radar since they recently contacted us to be reviewed for the site. 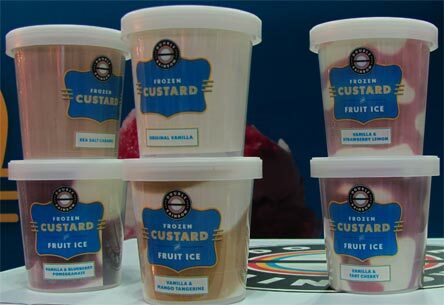 They're a frozen dairy dessert that's aimed for the more health conscious. ‎There was more of a coating on my mouth that I was expecting when I tried this but both the mango and coffee flavors tasted great. I'll have to try get in touch and try them straight from my freezer to see what the texture truly is though. This booth made me the happiest. I've known about Double Rainbow from when I used to order from Ice Cream Source. They were sampling their frozen custard at the show. What made me so happy though was one of the owners read my press badge and knew exactly who I was. Mama, I've made it! We sampled both their malt swirl and raspberry swirl flavors. The malt swirl was a perfect replication of a malted milk ball and I wanted much more than the tiny sample I got. The raspberry swirl was okay but a bit icy due to the fruity swirl. We exchanged info and you guys will definitely be seeing more of the Double Rainbow line up on the site in the future. That wraps up the second floor and I think that's a good stopping point for now. The last floor was very frozen dessert heavy and featured many of the well-known brands. 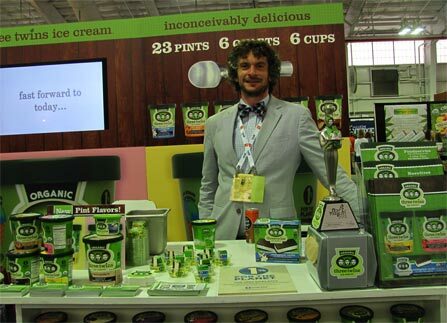 Click here for my 2nd and final part to my first fancy food show experience. Be sure to let me know your thoughts on the companies I met and what ones you'd like to see featured on the site. Thanks for reading! This won't help you due to the distance, but I spotted Coolhaus's Chocolate Molten Cake in Kroger in Indiana. Hopefully you can find it closer to you!